Is it really August already? Would someone please tell Summer to slow down? I am not ready at all for Fall to roll into town! Autumn is a beautiful season, but my first love will always be Summer! We had a busy weekend but I took time to create a simple Summer table setting for hubby and me. Our marriage is in a new stage and I’m lovin’ all our one-on-one time with each other. My goal was to have all my children before I reached the age of 30. That way, I would still be “young” once they flew the coop. I miss the kids, but they live nearby so I can see them frequently. 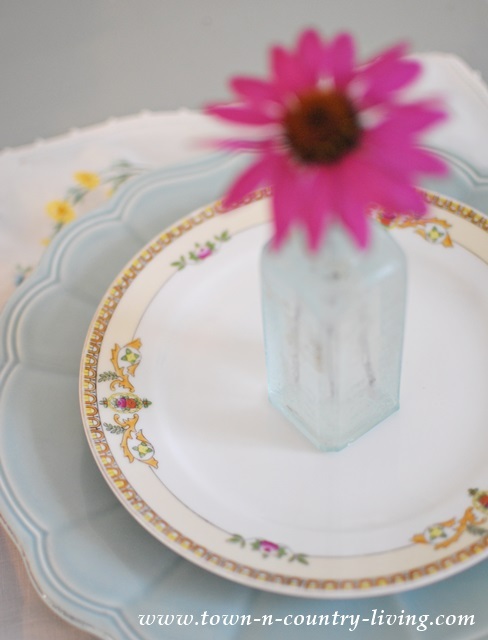 When it’s just hubby and me, I still like to create a pretty tablescape with fresh flowers. and saw the colors of the Coneflowers and Rudbeckia growing next to each other. I thought they’d be pretty inside tucked in a white ironstone pitcher. 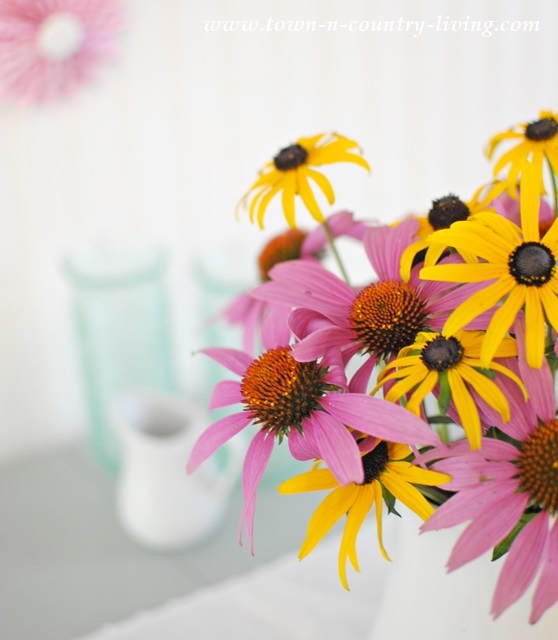 A single coneflower is tucked inside a small vase at each place setting. 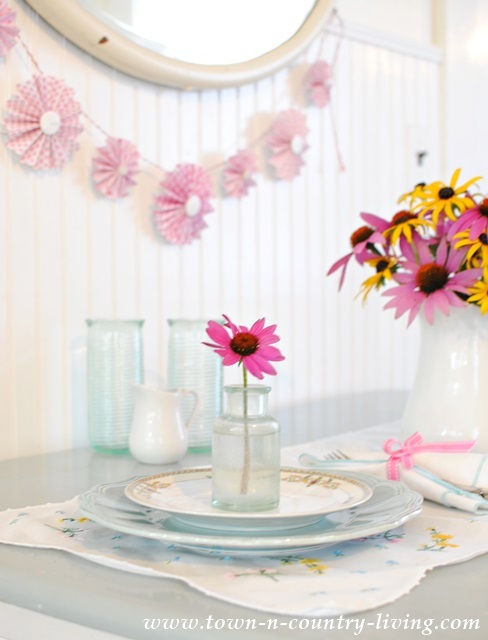 An embroidered table runner completes this simple Summer table setting. I don’t know if it’s the warm summer months, but I’ve really been craving color lately. 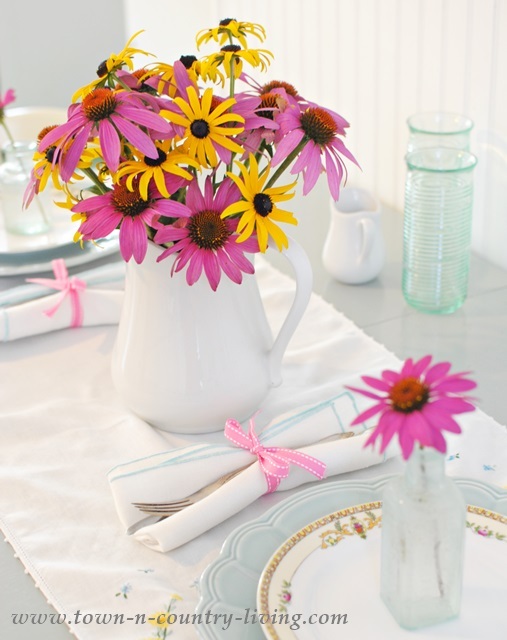 So naturally I added bright colored flowers to my simple Summer table setting. 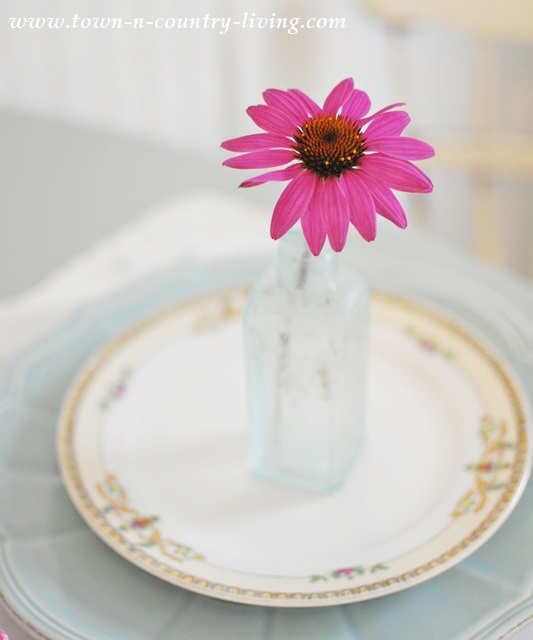 The deep pink of the coneflower pulls out the pink in my antique Meito China plates. I’ve had this China since I was in college … it’s my favorite of all my dishes. Sigh. This picture pretty much sums up why I love summer so much! Nature’s beauty in full bloom! So pretty and spring is my fave. 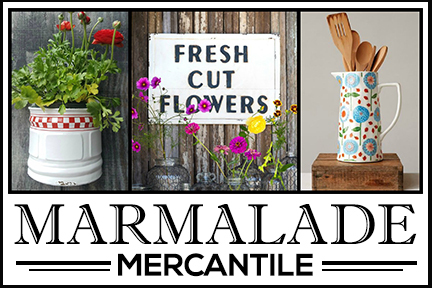 Our summers are too hot and sticky, but spring is just right. It’s so pretty! I love the vintage table runners. 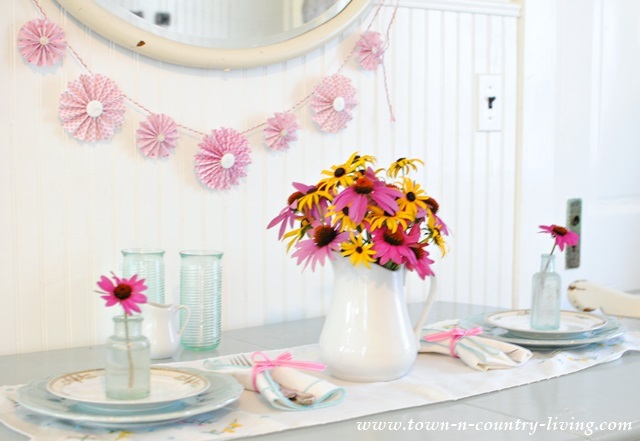 They probably started life as dresser runners – but this is a great use for them. I’ll have to keep that in mind. 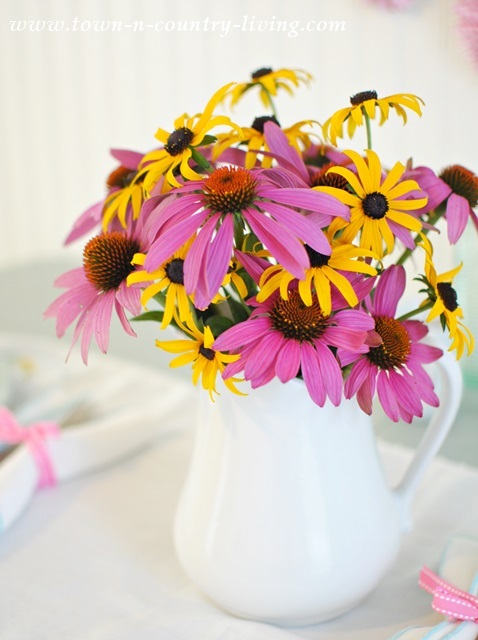 Your tablescape is so lovely highlighting your beautiful flowers. The simplicity of your table settings always evoke such elegance! Jennifer, you make some of the most beautiful table settings! 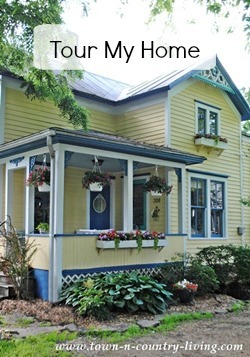 I love your dishes and the lovely flowers you grew in your own garden. Summer is my favorite season! 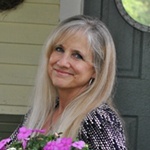 We live on the Oregon Coast, so it doesn’t get too hot or muggy, just mild, sunny weather. August and September are the nicest months here on the Coast, so I have been trying to get out and enjoy our beautiful weather while it’s still here. And Summer sure is flying by, isn’t it? Love the table setting so pretty. I am a summer girl too. This summer is going way too fast for me too. Wish it would slow down. You have inspired me to go out and cut some of my black eyed susan’s from the garden to use on the table tonight. So pretty. 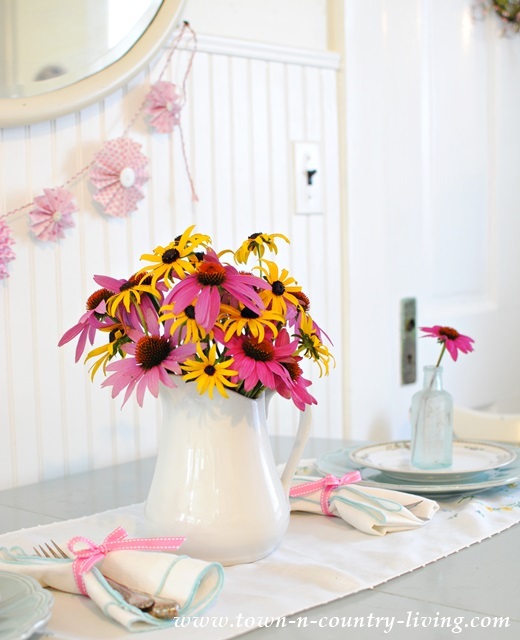 What a beautiful table Jennifer, love the colors and the coneflowers. It is important to make a nice table if it is just for you and the hubby. I do it for John and I and I think it is important and fun. My favorite season is summer, summer, summer!! Like you said, the season is in full bloom! I love the hot sun and I love swimming in my little pool with my one-in-a-half year old granddaughter! Yes Jennifer I am asking myself the same question….where did summer go 🙁 .Your table setting is gorgeous…love those flowers! A beautiful punch of color! 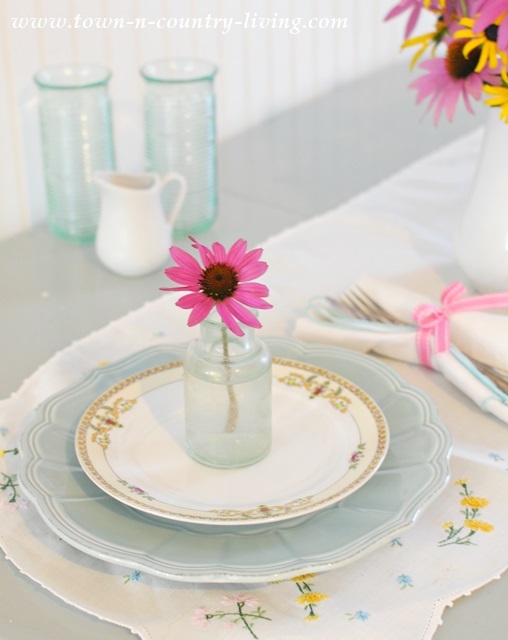 I love everything about this sweet table setting! I think my little girls would love it too. 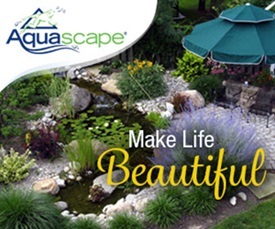 Your flowers evoke late Summer beauty . . . they’re so pretty! this post is gorgeous Jennifer!!! So bright and fresh! I Your little pink banner is adorable.